It’s pitch black along a river. My phone screen flutters then bursts red, shapes emerging from the dark. 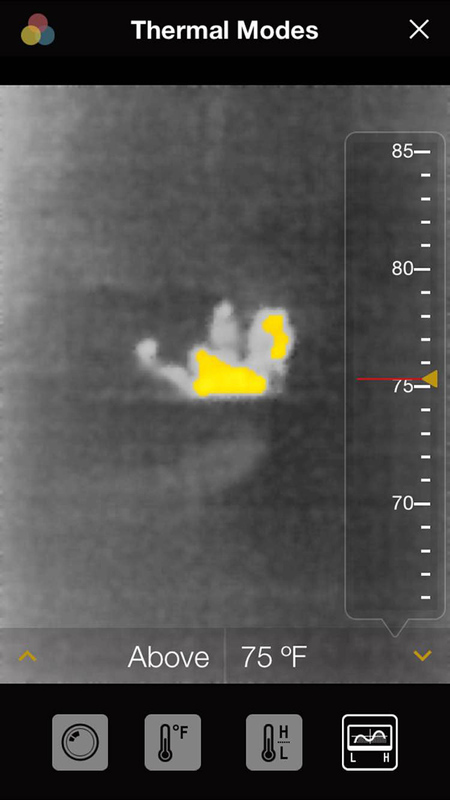 I’m testing a tiny thermal-imaging camera on a night hike. Campers huddle around a fire a few hundred feet ahead. On my screen I can see them through the night. The Seek Thermal XR is smaller than my thumb. But its tiny lens senses infrared radiation via a microbolometer so sensitive it can detect body heat a quarter-mile away. 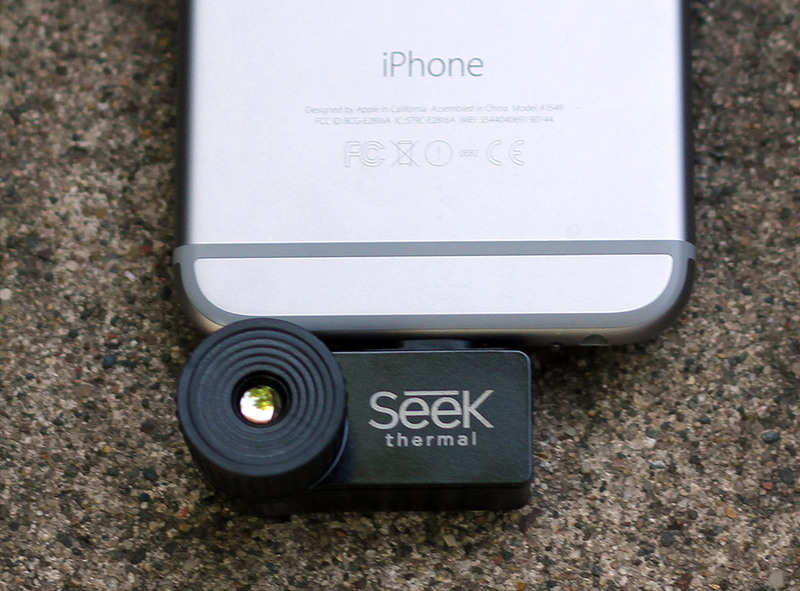 The company calls the device a “true thermal imaging camera,” not a gadget made to entertain. Until recently, the company touts, a similar camera would have cost thousands of dollars. My test was a fun experiment. But this kind of camera can save lives, including in search-and-rescue situations, or be a fun diversion while outdoors at night. The applications seem wide ranging. At home, point the camera at a door and you can see where heat is escaping due to poor seals. If your pet is missing in the backyard, point the camera toward all dark corners to hopefully catch a glimpse. Home and personal security are other applications. Scan a dark parking lot for signs of thermal life before walking from the office toward your car. The Thermal XR uses an array with 32,000 thermal-sensing pixels to assess the temperature of objects as close as 8 inches to far ahead in the woods. The app, for iPhone or Android phones, gives options for control. Modes offer live temp readings and data on thermally-scanned scenes. You can capture photos of glowing, thermal shapes. It’s simple to use. I plugged the camera into my iPhone and was scanning a dark yard seconds later. Two bunnies, hidden under a bush, spiked as small glowing blobs by my garage. For night-hike fun or serious business, the Thermal XR can be a solid tool. Try one out if you’ve ever desired to see in the dark. 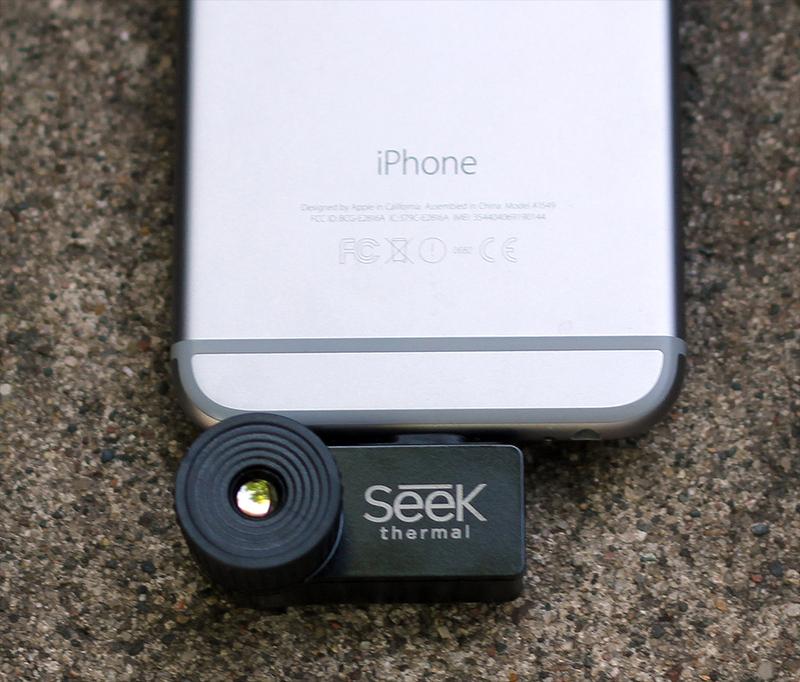 –Read more about the Seek thermal camera at Thermal.com.